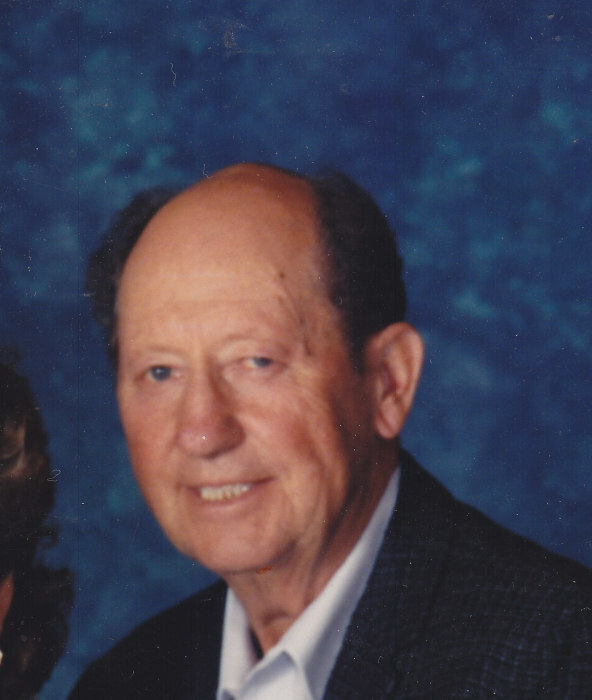 Duane Charles Jambois, age 88, passed away at his home on Nov. 29th 2018. He was born on September 7, 1930 in Genoa to Dominic and Elizabeth (Groeschel) Jambois. He is a graduate of Aquinas High School. He served in the U.S Air Force from Dec 1950 to Dec 1953. He was an Airman First Class stationed in Germany leading a bomb detonation unit. On June 18, 1955 he married Janice Venner at St. Charles Catholic Church in Genoa, WI. Duane worked for the U.S. Army Corp of Engineers; retiring as Head Operator at Lock and Dam No 8. Duane was proud to serve the community of Genoa through the Volunteer Fire department, The Lions, as a city officer and as a lifelong member of St. Charles Parish. He served as a commander of the Genoa-Desoto American Legion Post No. 246. Duane loves nature, the outdoors, hunting, fishing and boating with friends and family. Duane is survived by his two daughters; Linda (Brian) shepherd of Elgin, MN., Carol (Cliff) Paulsrud of Genoa, Wi, four grandchildren; Justin Shepherd of Rochester, MN., Jana (Terry) O’Brien of Plainview, Mn., Matt and Troy Paulsrud of Genoa, Wi, four great-grandchildren; Trinnity Shepherd; Eli, Jett and Piper O’Brien. He is proceeded in death by his wife, Janice; an infant daughter; his parents; an infant sister and four brothers; Harris, George, Bill and Florente. The Thorson Funeral Home & Cremation Service of Viroqua is proudly assisting the family.